By Rupert Sheldrake. Three Rivers Press. $15. When it comes to convincing the scientific community of dogs’ incredible senses and psyche, the author hasn’t experienced a lot of success. But when your typical dog owner is the focus, that’s an entirely different matter. Sheldrake has studied natural sciences at Cambridge University and philosophy at Harvard University, then added a Ph. D in biochemistry at Cambridge, but his notoriety has come from 15 years of wide-ranging research on man’s best friend, plus several other species, too. The bulk of his data has been gleaned from extensive interviews and reports from animal owners just like you and me, rather than from within a controlled scientific environment. “Pets are the animals we know best, but their most surprising and intriguing behavior is treated as of no real interest,” he says. (1) Interviews with hundreds of experienced parties accustomed to working with animals – veterinarians, blind owners, kennel proprietors, zoo keepers, etc. (2) Formal surveys in Britain and the U.S. to quantify the frequency of perceptiveness displayed by companion subjects. (3) Experimental investigations aimed at determining whether interviewees’ responses are well-founded. 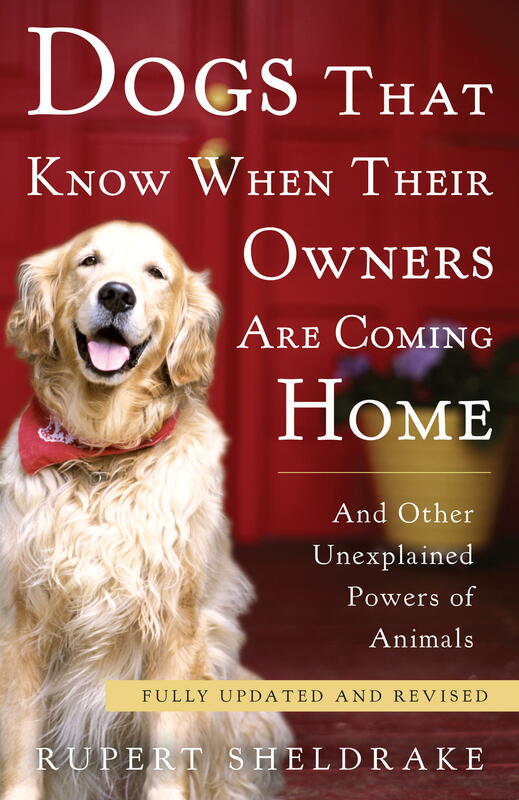 This is an updated and revised work of a 1999 first edition of the same title in which he interviews more than 2,000 owners and trainers about animals’ unexplained behavior. Since then, he has added more reports into a database totaling more than 4,500 case histories. The leadoff focus in this year’s offering mirrors the volume’s title. In that regard he collects more than a thousand reports of dogs that know when their owners are coming home, thoroughly capturing all aspects of their behavior from owners, relatives and friends while addressing skeptics’ concerns, too. Separate chapters on cats, parrots, horses and other animals detail their special senses and abilities to interact with man, from sheer communication in the field and home to offering comfort for the injured and dying, even a foreboding of an earthquake, tsunami, avalanche or storm. Empowering and enlightening, the author’s richly detailed research is not a breezy read, rather a sober reflective work that deftly balances frustration and fascination. In the process, it serves up a stimulating challenge to scientific wisdom around one corner after another.